1) I love the phrasing of this example. The drummer has such command of the time amidst this syncopated (yet spacious) vamp. Although the gestures are fragmented and largely occurring within the spaces of the accompaniment, the solo has a clear shape and direction to it. I particularly enjoy the superimposition of other meters/grooves and his sonic concept. Nowadays, it seems more and more drummers are utilizing “prepared” sounds like a heavily muffled snare or additional high-pitched auxiliary drum (as heard in this example) to add a little more color to the drummer’s palette. Based on this brief example I’m not certain who this drummer is and therefore would rather be surprised and hope to check them out more in the future! After: Ah, yes, Clarence Penn. I actually thought of him for a second when I heard the splash cymbal but didn’t put all the pieces together. I love how he’s incorporated the roll of a percussionist into his drumset playing and utilizes auxiliary percussion like wood blocks or triangles in a tasteful way. Recently I’ve enjoyed his playing on several records and live performances in recent years specifically with Kate McGarry and Maria Schneider’s orchestra. 2) This drum intro leaves me wondering many things. The vocabulary sounds heavily influenced by the great Roy Haynes but the tuning of the drums seems more contemporary. And, the extensive use of the hihat is not nearly as common amongst modern drummers as it once was. Though this may seem like a strange take on this example my honest guess is that this is an older drummer sitting in and playing someone else’s (modern) drums. (Again, I’m consciously choosing not to mention names for lack of certainty.) Either way, if it happens to be a younger drummer, I would applaud their dedication in studying the foundation of our idiom. In my opinion, this drummer has not cut corners to get to this level of playing. After: I’m glad to hear this is Kendrick Scott. I love his playing and he is definitely a player who has done his share of studying the lineage of the drumset (thus fooling me into thinking he was an “older” drummer). He is quite a driving force in modern jazz and has had a big influence on my playing. I really love his “Oracle” group and how well constructed the music is – not just the drumming. He’s a fabulous musician. 3) Wow, this drummer is so “inside” of the accompaniment that it seems uncanny. My feeling is that this drummer is also a composer (not of this example) and thus really understands the direction of the music and can dance around and within it very liberally. The solo also makes me think that this drummer is either an extremely good reader of difficulty music or has played this particular song many times, or both. It’s very interesting to me to try to make guesses at who this may be when I hear vocabulary and cymbal sound and drum tuning that’s used by lots of contemporary jazz drummers. If this were a studio album it’s possible that some of the subtleties/individualities would stand out to me but with live recordings a lot of that is lost. Whoever it is, I like it a lot and would assume this is a very busy hardworking drummer. After: Jochen Rueckert is on my latest favorites. I’m a big fan of his playing with Marc Copland and his electronic music project “Wolff Parkinson White”. Sometimes when I’m listening to him I feel like there was a snapshot of jazz taken in the late 1960’s and he is building upon that style, approach and vocabulary. I mean that as the highest compliment since many drummers strive to achieve what drummers of that era were doing and I think Jochen understands that language deeply. That mixed with his fiery modern edge blend to create a very exciting and engaging approach to drumming. 4) I find it hard to hone in on an honest guess on this one because the sound of the cymbals and drums are obscured and sound compressed. The beginning is reminiscent of a free jazz approach to time playing like that of Paul Motian with a little more modern edge which, then leads more towards a more Tony William’s influenced approach to uptempo time playing. Overall, I don’t know who this is but, I feel this solo was inspired to a degree by Tony Williams. And again, the drummer has done their homework. After: I still wouldn’t have been able to guess this was Marcus Gilmore but now I do hear some similarities in approach to some recordings of Vijay Iyer’s trio, which feature Marcus. I love the fluidity of his playing and how he makes time and grooves feel so liquid even in very complex meters and forms. When he plays drums I feel he evokes a true love of the instrument. 5) This is the first time during this blindfold test that I will actually mention a name of who I think the drummer is. I don’t know many other drummers on the scene today with such command of the instrument and ability to build a solo to peak and continue pushing upwards from there. There is such musicality and technical mastery on display here. I love his sound as well. This must be Eric Harland. After: Obed! I remember hearing his name when I was a student at the University of Miami in early 2000’s and he was at the New World School for the Arts High School. After that when he attended Manhattan School of Music he would come sit in at jam sessions when he was visiting Miami and blow people away with his feel. It wasn’t long before he was making waves in New York’s jazz scene. Wow, what a great player! I can only hope that he’d see it as a compliment that I thought he was Eric Harland. Both are fantastic drummers at the top of the game. 6) This is an enjoyable solo with some interesting push and pull on the time feel. There are moments of an almost exaggerated swing feeling as the drummer moves around the toms as Max Roach would but meanwhile a lot of heavy cymbals and Blakey like gestures. Again, I hear a young/contemporary drummer and strong influences from the hardbop era but I’m unable to pinpoint who this may be for sure. After: I still wouldn’t have been able to get this one but since being given the answers to this blindfold test I’ve been exploring Jamire’s music and have really enjoyed what I’ve heard so far. I’m glad he’s on my radar now. He seems to be part of the new movement of drummers who have many other musical talents and knows how to use them to create truly fresh sounding new music. 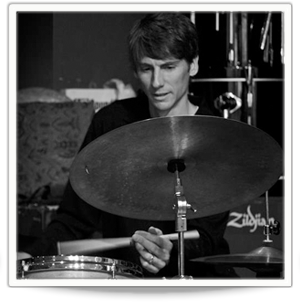 Example 7-Jeff Ballard in London with Jason Palmer, Michael Janisch, and Julian Siegel. 7) Yes, I will name another name during this test because I have no doubts that this is the one and only Jeff Ballard. His sound and vocabulary are both so refined and individual. To me, his whole approach is unmistakable and so musical. This is what jazz drumming has always been about and he makes it sound so fresh – I love this solo. After: Yep, Jeff Ballard. I love his touch on the ride cymbal. It’s particularly on display in the later part of this example. It’s like he’s dancing on the ride and tying the whole drumset together with that sound. Really fantastic drumming and musicianship. Keep up with Austin via his website! Here’s a compilation of 100 great songs that I compiled after reading the NPR list, which can be found here. These are songs that were excluded from the NPR list. I put this list together in a little more than an hour, just thinking off the top of my head. This list of course is in NO particular order. I could’ve gone on and on but I decided to make 100 the magic number. What would you have liked to see on the NPR list or mine? Here’s something that you can try with your ensemble in your own time. You can also introduce this method to an ensemble that you are directing. I first learned of this from saxophonist Matana Roberts several years ago. First off, let’s say you have a quintet. Start off by taking five small sheets of paper and label them 1-5. Have each player in the group pick out a number. If you are the most experienced player in the group, keep the number 1, you will be the leader in this exercise. Don’t worry about who has which number. Next the ensemble has the choice of designating a key for the exercise or not. For beginners I usually choose a key and we go from there. For more advanced groups you can choose to not to assign a key and keep it atonal. More possibilities that way. Let’s say I have number 1. So I’m the leader. The leader starts the performance by playing a musical phrase and repeating it for the person who has number 2, for them to then repeat back to the leader in unison (or as close as possible). Once the leader feels that number 2 has the phrase down (one way to tell is to stop playing the phrase and make sure that number 2 has the phrase down solid), play another phrase to counter the first phrase. This phrase is for the player with number 3. Make sure that number 3 has the phrase down the same way you have done for number 2. The leader continues the same thing by doing this for numbers 4 and 5. The challenge for the leader is how simple or complicated to make the phrases. The leader must take into account the choice of notes, the rhythm, and the length of phrases that are relayed for playback. The rhythm must be interesting enough though, because in most groups the drummer will have a number. I usually tell inexperienced drummers to play the rhythm that’s given to them in addition to what they can come up with to compliment that rhythm. Once everything is up and running, I like to encourage members of the group, one at a time, step out and improvise within the song. When done, the soloist recalls his/her assigned line and plays it. It’s usually a challenge for players to get back to what they were given, because the soloing usually affects their melodic memory. This exercise can also morph into another tune that’s familiar with the players involved if they are open to that kind of thing. It’s a cool experience to have as a player and a listener. I would encourage working groups to try this, having each member in the group serve as the leader. One of the many things that I’ve been cooking up recently is a project of the music of Janelle Monae’s Archandroid album. I absolutely love this album. It’s been in my rotation since it was released and I couldn’t wait for it to come out. The music, INHO, is thoughtful, woderfully written, and Janelle’s voice is crystal clear and one of the easier voices to transcribe. When it came out I was wondering how and if I could score this music for my band. Over the past week I’ve been waking up with musical ideas that I think will do that album justice as well as settle in quite comfortably in a “jazz” setting. So far I am treating Say You’ll Go, BaBopBye Ya, Oh Maker, 57821, Sir Greendown, Locked Inside, and Wondaland to my arranging techniques. My plan is to complete the arrangements over the next 2 weeks when I’m out on tour in Europe, come back and work them with the band in November, and perhaps perform them on December 9th in NY with my band at the Jazz Gallery!! I love the Jazz Gallery. They have the best programming in the WORLD for jazz musicians and they’re the only club in NY that’ll give my band a chance, and for that, I’m GRATEFUL!! This blog is in response to the questions I have received in the past about learning tunes. Throughout my time in college I was encouraged by my mentors (especially trumpeters Jeremy Pelt and Darren Barrett) to learn as many tunes as possible. They both possessed huge repertoires which really gave them the luxury to play really diverse sets whenever I had the priviledge to hear them live in Boston. I was also inspired to learn as many tunes as I could in order to combat the monotness of hearing and playing the same tunes at jam sessions around town. That’s still prevalent but I always do my best to encourage young cats that come down to my session at Wally’s on Sunday afternoons to learn as many tunes and not to come down week after week to call and play the same tune. When I started to go down to the jam sessions at Wally’s when I moved to Boston, I was advised to learn the tunes that were called that I didn’t know. So I learned those tunes and called them the next week or the week after (especially if they weren’t played when they were called initially). So to learn these tunes I either had to go out and buy the record or check it out of the library at NEC. I was fortunate to live in Boston where there were a handful of great record stores at the time (Tower Records in Boston and Cambridge, Looney Tunes in Boston and Cambridge, Newbury Comics, Mojo Records, Planet Records, and my favorite Stereo Jacks in Porter Square!). When I got into the habit of checking out records in order to learn tunes, naturally my record collection grew. I developed this habit of buying a record in order to learn a tune but in the end I learned all of the tunes on the record. Imagine wanting to learn 10 tunes in a month, going out to get the records, and learning all the tunes on the record! That’s easily 100 or so tunes in that period. I am a pretty fast transcriber (because I have absolute pitch) and it was fun for me at the time still is. I always made sure to learn tunes that I really dug so there are obviously tunes that really didn’t touch me and I never got around to learning them. Don’t get me wrong, I’ve committed thousands of songs to memory that I’ll never get to play outside of my practice room, but there are hundreds of thousands of tunes that I don’t know that I should know. I consider myself to be a constant work in progress in that respect. In my opinion, there are several useful ways to learn tunes, but I don’t think that there’s a magic bullet that will get anyone from start to finish any faster than the next person. Everyone has to put the time in to really hone their ear skills and once our hearing becomes more acute, learning tunes becomes much easier and fun. Here’s one method that’s geared towards memorizing chord changes that was given to me by trumpeter John McNeil. This involves playing the piano. 1. Play the first chord to the song on the piano in time (maybe using a metronome or tapping your foot). 2. While playing the first chord of the song, say the 2nd chord out loud. 3. Play the 2nd chord in time. 4. Say the 3rd chord out loud, etc. I’m sure that you all see the pattern that’s taking place now. This exercise is designed to allow you to “think ahead” when improvising. This way you are more equipped to anticipate the chord changes instead of playing in a reactionary mode (not saying that that is bad, you just add another asset to your playing with this). When I begin transcribing a song, I start by lifting the melody. I try my best to absorb all of the inflections that the player on the record displays. I try to inhale when they inhale, exhale when they do, etc. Once I’m done transcribing the melody I move on to the bass line/part. Depending on the fidelity of the recording and the playing of the bassist on the record, this process can be daunting at times. I’ve found that there are times when the bass is either drowned out in the mix or the bass is out of tune or being played poorly. One thing that I do to remedy this is to listen to what’s happening at the same part of the form throughout the duration of the tune because what the bassist plays in the 2nd chorus may be a clearer than what is played in the 1st chorus. In many cases once you have the melody(s) and the bass line transcribed, the harmony of the song becomes more obvious. If it’s not apparent then you can transcribe the playing of the chordal instrument on the record. If it’s tough to play back what’s being played at the time, then try singing the notes in question. In most if not all cases, if it sounds right to your ears then you are probably correct. You can also transcribe the solos to figure out the correct progression to the tune. If there’s a G chord in a particular tune and you’re having trouble figuring out if the chord is major, minor, or suspended, then check out the solos. If a B is played most of the time during in that measure during the solos then it’s probably going to be G major. While I’m there I’ll also be working with students at the Royal Academy of Music in London. I wanted to let you all know that I’ll be taking my working band into the studio for the first time this weekend. On Sunday Feb. 28 we’ll be recording at Knoop Studios in New Jersey for my debut release on Steeplechase Records. I’m really psyched and grateful to be be an artist on this label because much of my musical development is directly attributed to absorbing recordings from this label. Many of my favorite players recorded for this label, including Dexter Gordon, Kenny Dorham, Louis Smith, Chet Baker, Nat Adderley, my teacher John McNeil, and the lists goes on and on. I haven’t come up with a title for the record, liners, design, etc. but I hope to have that done by the end of March. To keep up with where I’ll be playing (maybe I’ll be performing in a city near you! ), please don’t don’t forget to check my myspace page periodically. I think I’m one of the few that’s still active on that site. Here’s a Sneak Peek at my New Theory Book!! These series of books that I’m planning on putting out are going to be designed for those players who seem to have “hit a roadblock” when it comes to improvising. I must admit that many of these passages will have more of a trumpet slant, but I’ll make sure that there’s a book for everyone. I plan on releasing a few volumes of unconventional scales, a volume dedicated to intervalic improvisation, and a system of improvisation that based on the harmonic series for the trumpet.